One of our best sellers, the G-Storm 24 oz. 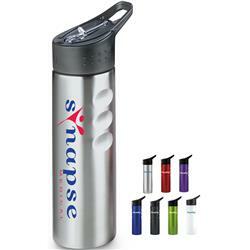 Stainless Steel Custom Bottle features a sleek and stylish design that’s perfect for showing off your custom imprint. 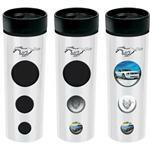 The comfortable fingertip grooves make for convenient portability while the pull-up spout and straw offer easy access when on the go. Available in a variety of bold colors, this beverage holder is BPA free! Ideal for colleges, athletic teams, marathons and other outdoor events. A staff favorite. Stainless Steel Sport Bottle, Straw, BPA Free, 24 oz.